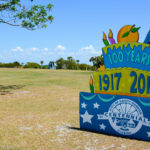 The holidays in Safety Harbor are always a special time of year. 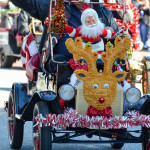 Despite a persistent lack of snow, the city truly embodies the spirt of the giving season; from generous Thanksgiving dinners and gift drives to the annual tree lighting ceremony and the always spectacular holiday parade, Safety Harbor embodies warmth, hospitality and yes, small-town charm during the most wonderful time of the year. In 2017, the city’s holiday special event schedule is loaded with traditional favorites, including Santa riding a fire truck and the aforementioned tree lighting and parade, as well as a couple of new festivities, and yes, even snow! 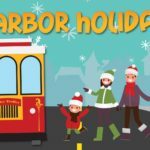 Here’s a look at the 2017 Safety Harbor Holiday Special Events schedule, and what you need to know if you plan on go-go-going! When: Friday, Dec. 1, 7:30-9:00 a.m.
Where: Safety Harbor Resort and Spa, 105 N. Bayshore Dr. Details: This annual informal morning meeting of the mayors from Safety Harbor and Oldsmar is always a fun-filled affair that also supports a great cause—providing for needy families during the holidays. Safety Harbor Mayor Joe Ayoub and Oldsmar’s Doug Bevis will don aprons, pour coffee and collect tips for charity, while attendees can bid on beautifully decorated trees and other items while enjoying their meal at the Spa. 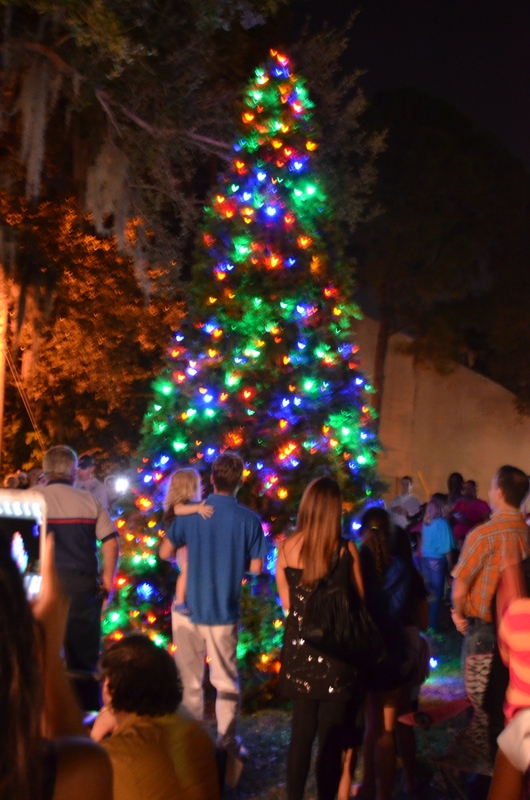 The 2013 Safety Harbor Christmas tree lighting ceremony. 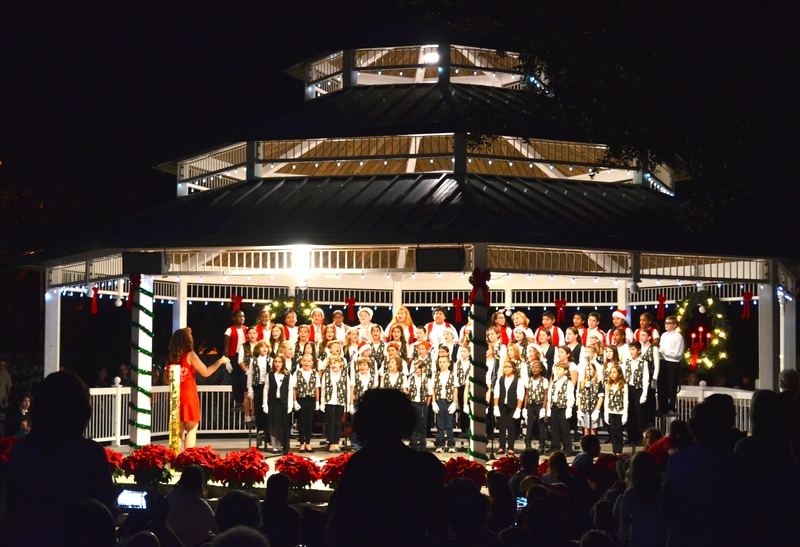 When: Friday, Dec. 1, 6:00-8:00 p.m.
Where: John Wilson Park Gazebo, 401 Main St. 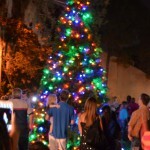 Details: The city’s annual tree lighting ceremony continues to grow in popularity year after year, as hundreds of residents and visitors pack the park around the Gazebo to listen to caroling kids, watch officials and the grand marshals light the enormous Christmas tree and wait for Santa to show up on the back of a bright red SHFD fire truck. 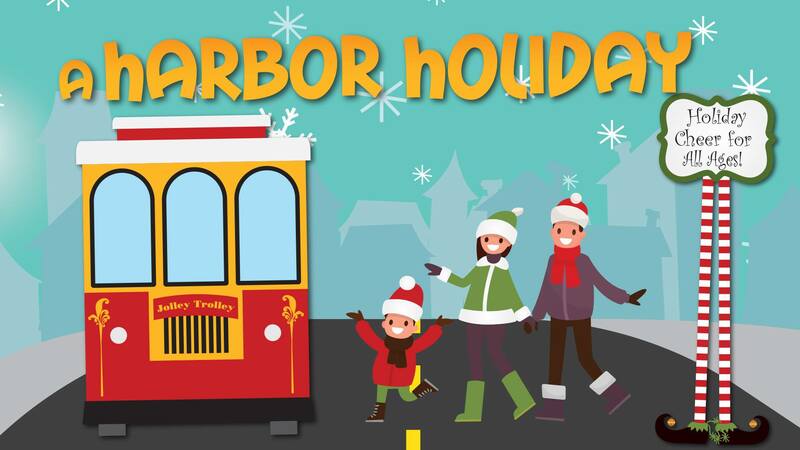 This event truly kicks off the holiday season in the Harbor and is guaranteed to leave you humming holiday classics for the rest of the month! When: Saturday, Dec. 2, 5:30-9:30 p.m. When: Saturday, Dec. 9, 9:00-10:30 a.m.
Where: Florida Sheriff’s Youth Ranch, 3180 Enterprise Road E.
Details: Kids can join Santa for a buffet breakfast at the Youth Ranch and tell him what they would like to see under the tree. Space is limited, and pre-registration is required for children only. 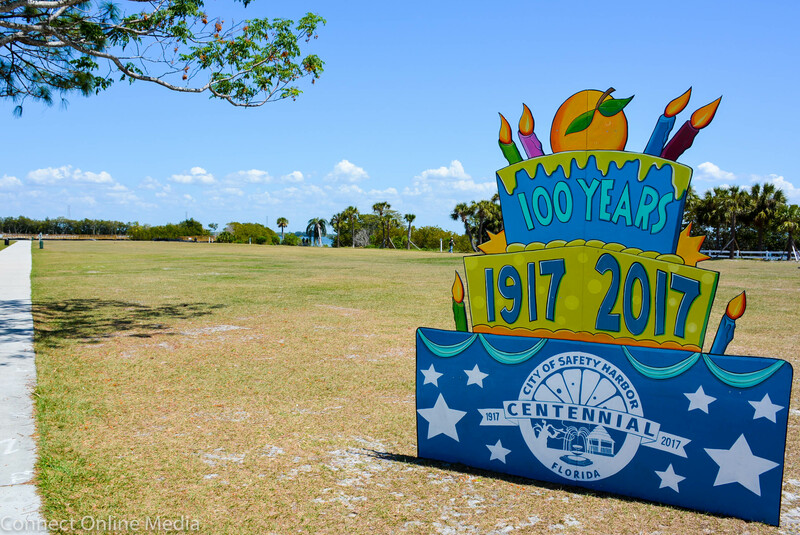 The Safety Harbor Waterfront Park is located at 110 Veterans Memorial Lane behind the Safety Harbor Resort and Spa. When: Saturday, Dec. 9, 5:00-9:00 p.m. 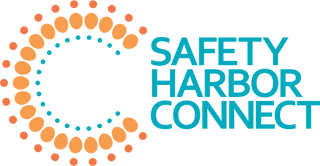 Details: This new event hosted by Cypress Meadows Community Church is scheduled to feature live entertainment, food trucks, arts & crafts and children’s activities, including inflatables, a mini-train ride, ice skating reindeers and real snow! According to the event Facebook page, the night is scheduled to end with carols, candle lighting and a boat parade, and a visit from the most famous resident of the North Pole. Details: This is another example of small town charm igniting the spirit of the holidays, with Jolly Old St. Nick touring every (passable) street in the city over the course of two nights on the back of a fire truck. The sight of Santa sitting atop a giant red SHFD sleigh, waving to enthusiastic kids and kids at heart, is enough to warm the soul of even the most steadfast Grinch! 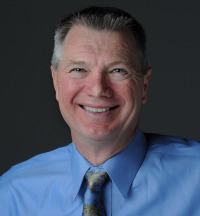 When: Saturday, Dec. 16, 1:00-3:00 p.m. Details: The city’s most beloved annual tradition dates back more than 35 years and is widely considered one of the biggest, longest and most entertaining holiday parades in the area. 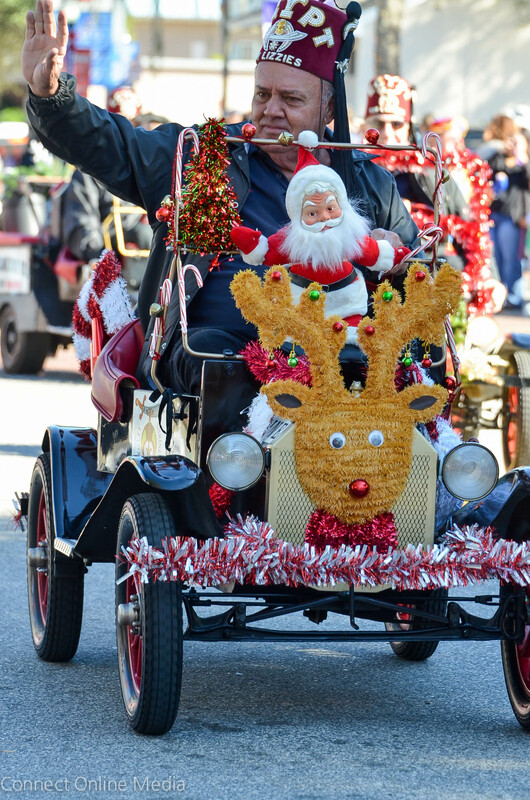 Hundreds of participants ride dozens of floats and vehicles, including cars, trucks, bikes and boats, as patrons line Main Street hoping to get a glimpse of their favorite characters, charitable organizations and of course, Santa Claus! Arrive early to get a spot near the front, and please note most of Main Street will be closed two hours before and one hour after the parade.